Recently, I attended an advertising event and spoke to a new acquaintance who introduced herself as a “digital marketer” for a software company, but noted “We’re not quite ready for video.” I could only shake my head, because the reality is that, in this day-and-age, if you consider yourself to be in digital marketing and aren’t actively integrating video into your plans, you’re a walking oxymoron. Digital is video, and video is digital for any savvy brand marketer today. Why should you care? On average, video ads have a CTR 36 times higher than digital banners, according to Business Insider. What’s more, one-third of all online activity is spent watching video, finds Contently. This video-hungry audience is only growing: By the end of 2017, eMarketer says, it’s anticipated that the digital video audience will have grown 8.2%. While most marketers have heard of direct response video, they usually associate it with TV buys. However, brand and DR digital video are not the same. Brand videos are creatively built for long-term brand recall. For that reason, they’re creatively light on a sales push and heavy on narrative story. The objective with brand spots is to delight, entertain, or move viewers to the point where they’ll remember your brand when they’re ready to purchase down the line. DR spots are, by contrast, built for instant conversions, and therefore intentionally light on narrative and heavy on a call-to-action. For an impactful, full-funnel campaign, consider creating brand videos (top of funnel, to peak brand interest) and DR videos (bottom of funnel, to drive purchase). Another faux pas of digital video is assuming that you need just a single video. With today’s sophisticated media buying tools and range of viewing channels, digital marketers must move from a one-video mentality to a multi-video ecosystem mentality. When data protection company Carbonite wanted to reach small-business owners, it developed a campaign featuring real small-business owners speaking authentically about their stories of failure and recovery. Instead of a single spot, Carbonite launched strategic variations to appeal to different SMB demographics, e.g., a variation featuring women-owned businesses and a Spanish version featuring Hispanic-owned businesses. A multi-video ecosystem approach means that video content must also be customized to the channel. For example, videos for Facebook should be cut with that audience’s behavior in mind; vertical video maximizes screen real estate for mobile viewers (the majority of Facebook users), and text overlay appeals to sound-off viewers. Testing creative isn’t a new concept, but what we’re now seeing in digital marketing is A/B testing on steroids, and it’s helping brands drive even more ROI from their video advertising. In the past year, our clients have increased the number of video variations requested — jumping from a standard single 15 or 30 second video to 4-6 variations of each. Plan ahead to test end card variations, landing pages, even talent used. Run all the variations, and then focus your spend on the highest performer. 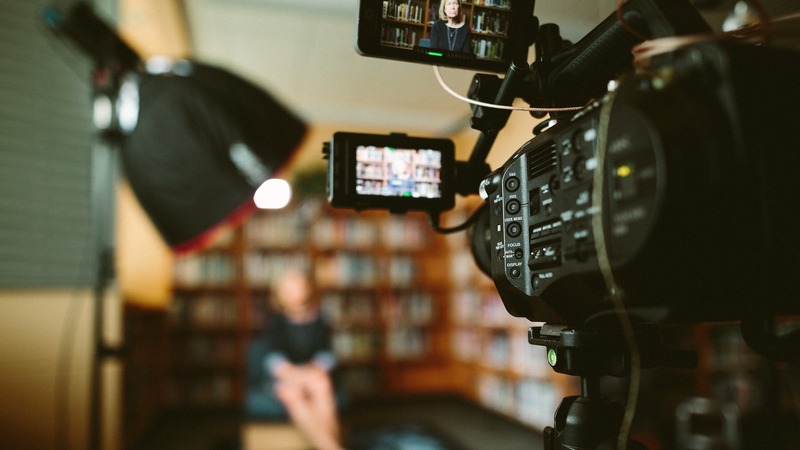 Integrating video into your next campaign boils down to a three-pronged approach: First, leverage the right mix of DR and Brand to drive consumers down the purchase funnel. Second, tailor your videos to each channel and audience. And finally, implement testing for your video creatives. And then? Pat yourself on the back, because you just graduated to digital marketing.